Who What Where — Pop Up Picnic Co. Pop Up Picnic is for parties of 2-20. Occasions big and small deserve festive attention. We offer the ideal backdrop for your celebration: no work, no cleanup and a great view. We even offer special decor & dessert options if you really want to pull out all the stops. No matter what you're celebrating we want to be part of the action. Every great picnic deserves great food! Drinks are included with each Pop Up Picnic, we proudly serve Phwatr (alkaline antioxidant water) and Spindrift Sparkling Water! 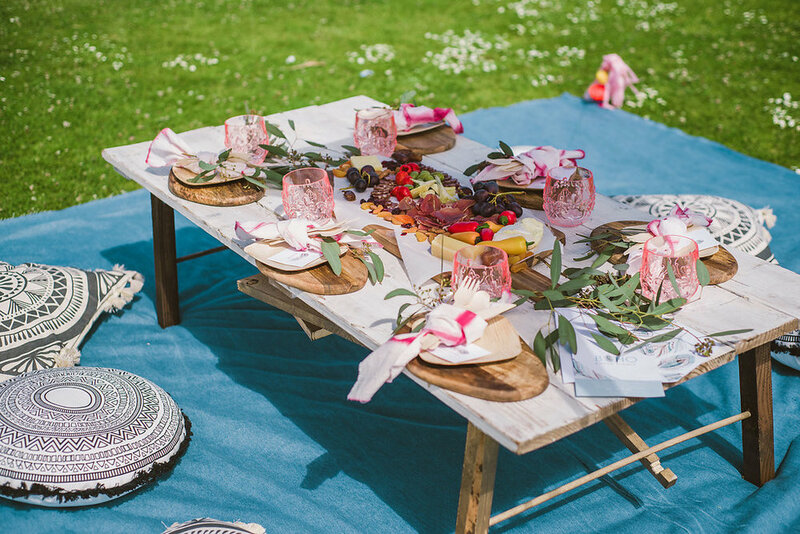 We think a little ambiance goes a long way so we bring our signature style to each Pop Up Picnic. Both include a fully styled tablescape with sustainably sourced wood settings, linen napkins, greenery centerpieces and more. We want your experience to be perfect, from start to finish. Complete your booking online or email us and we'll help you through the process. Pop Up Picnic Co. handles all setup & cleanup and we have our team on location to make your picnic perfect. Our guests just show up, have fun and then walk off into the sunset. We also take location requests, just ask! We want you to feel like you have a handle on what’s going on. We send out a confirmation and 24-hour advance reminder email that include picnic location, time and date details complete with google map, menu confirmation, including any special requests, weather details and other logistics info so you’ll feel 100% confident that you can get to your Pop Up Picnic without issue. Park Rules: we make sure to follow all park and city rules (no glass, alcohol, etc.) We also handle any permitting, as necessary. We try to pick a variety of scenic venues throughout San Diego that are easy to access (walking paths, minimal stairs/hills, etc.) and find parking. We also take suggestions! 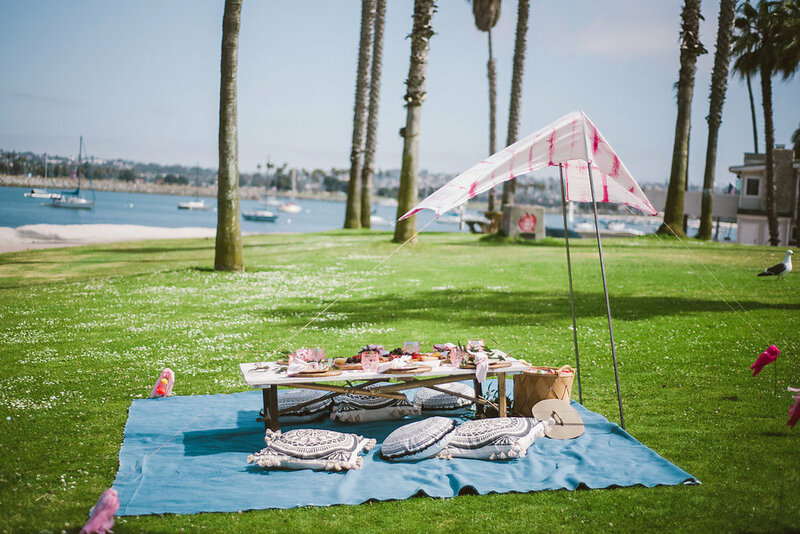 If there’s a spot you love, just let us know and we’ll try to make it happen for your picnic. Locations are public. Some sites are more private than others. We can help you decide on a location if privacy is an issue. There are rules we must follow: no alcohol and absolutely no glass. Not sure where to book? Go for Cuvier Park! It's our favorite location and most popular. 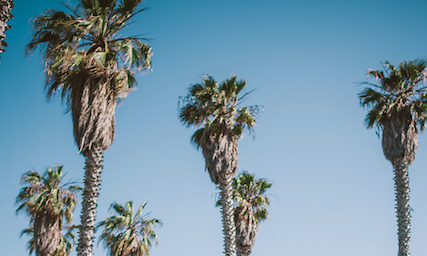 It's close to La Jolla Village so you can check out museums, bars, shopping, galleries, the beach, tidepools, yoga and so much more all within walking distance. Special Requests: not all locations are available to book through the website. Simply select 'other' and make a note referencing your preferred location in the custom comments section and we'll contact you to confirm your location request. We’re happy (and lucky!) to say weather is a minor consideration. There are certain times of year where rain is an issue and we usually have a heads up in advance. That said, the marine layer is usually one of our main worries: it can make for a damp and cold picnic experience. That’s why we include a weather heads-up in each confirmation email and offer suggestions on how to dress appropriately for your picnic. In case of unavoidable weather, we’ll relocate your picnic to a covered location or reschedule for a different day. We offer menu options that do well as ‘picnic food’- that means it’s safe to eat at room temperature and doesn’t need to be served especially hot or cold. Food safety is a major focus for us, and so is taste- we want you to enjoy your meal and we’ve created our menu accordingly. Food: Order a charcuterie board for the table or individual bowls from our seasonal menu. A: It depends on how you think the kids will be comfortable: if you’d like us to include seating and food for them, then include the kids in the guest count. If you think the kids will be running around while the adults will be at the table, and you’re willing to share your food with them, then it’s probably not necessary to include them in the guest count. If you have questions, you can always email us and we’re happy to talk it out. A: We don't offer any refunds but we can change your reservation time without penalty up to 72 hours before your Pop Up Picnic. After that, there is a cancellation charge of $25pp but you still have your remaining balance to use toward a future picnic.